The distinguished Estepona golf resort on the Spanish Costa del Sol is offering a fantastic opportunity to property investors and golf fans alike. Available now for investment, are a range of two bedroom, two bathroom apartments – with private parking – on this picturesque coastal golf complex. All apartments offer wonderful views of either the Mediterranean sea or the lush fairways of the golf course itself. Every property is available on a 100% ownership basis with access available to owners throughout the year. 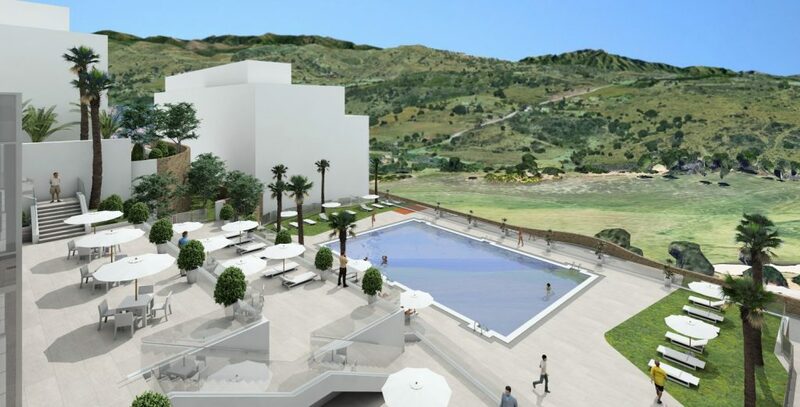 All owners will have access to resort services including beach and town shuttle buses, reception services, a pool and – of course – golf facilities among other features. Rental income for owners is guaranteed at 5% per annum for four years. Prices start at just €107,500. Each property comes with 100% ownership and a guaranteed rental income of 5% per annum for four years.